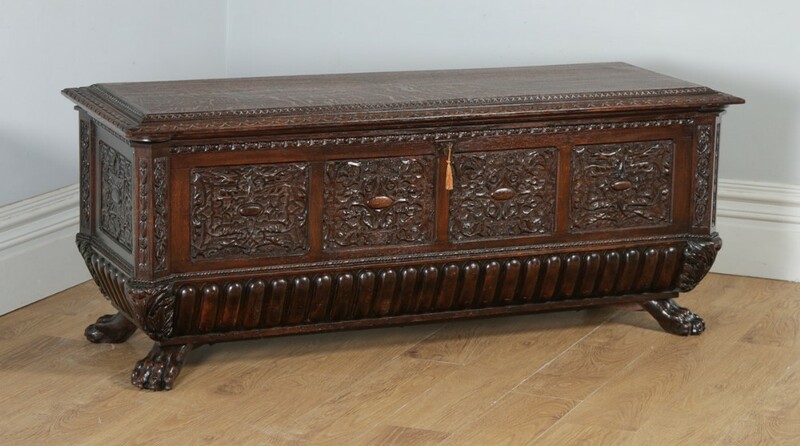 This is a fabulous quality antique Italian renaissance influenced carved oak cassone chest, most likely constructed as a marriage gift, circa 1820, in excellent original condition. 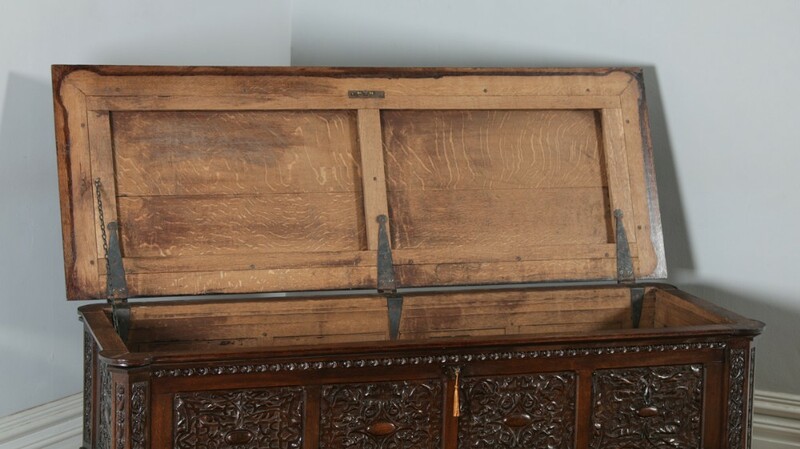 The chest is constructed with a twin-plank top, with a joined section below, which is constructed with mitred joints to the corners. 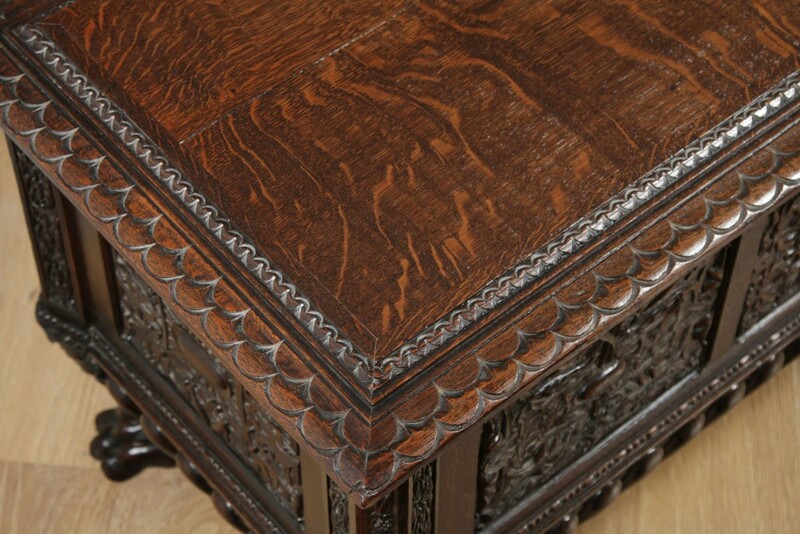 The original lid, which features a nice over-hang, is decorated with oak banding around the perimeter, and two-tier lunette moulded edge, separated by thumb moulding. 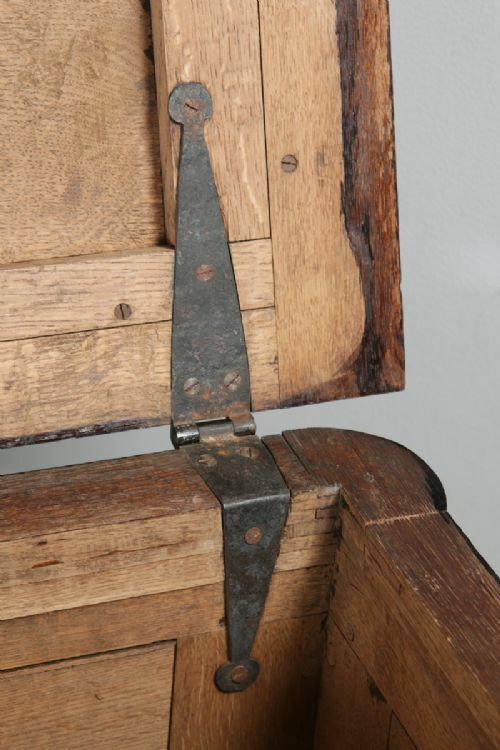 The lid retains its original steel strap hinges, which is nice to see. The interior is clean, dry, practical and usable. 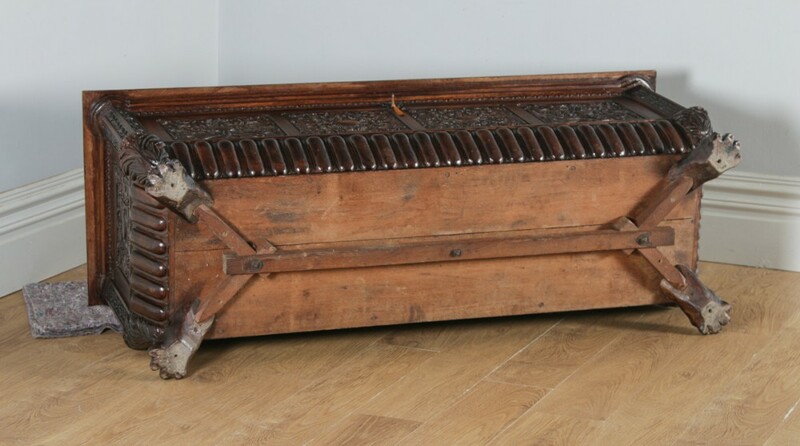 The interior also retains its original floorboards. 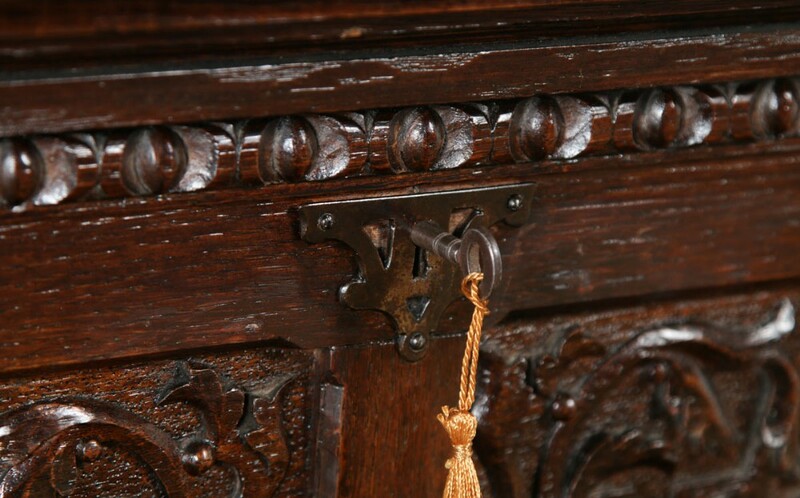 The lid also closes on a steel lever working lock, which incorporates the original brass striking plate and working key to the front of the coffer, which allows you to lock the lid if necessary. 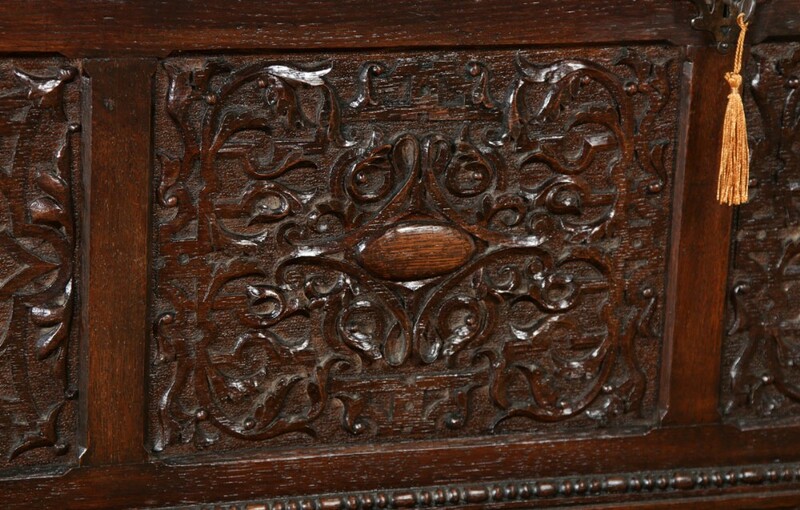 The front of the coffer is decorated with four moulded shaped panels incorporating symmetrical foliate carvings in a nominally geometric pattern, with a rounded lozenge to the centre. 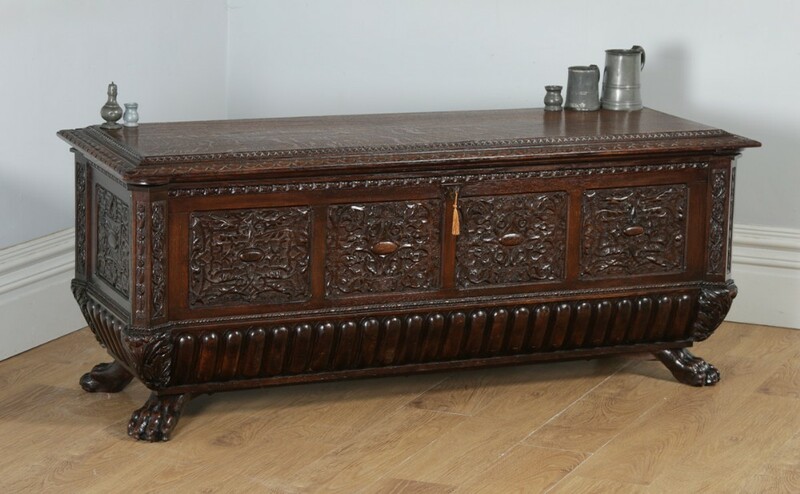 The chest is also decorated with oriental influenced geometric carved panels to the sides. 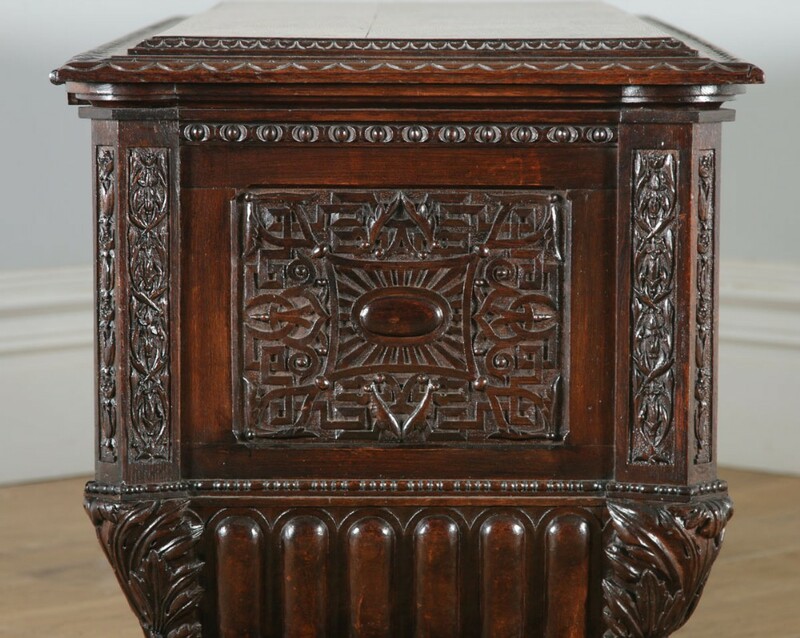 Furthermore, the chest boasts floral carved quarter columns to each corner. 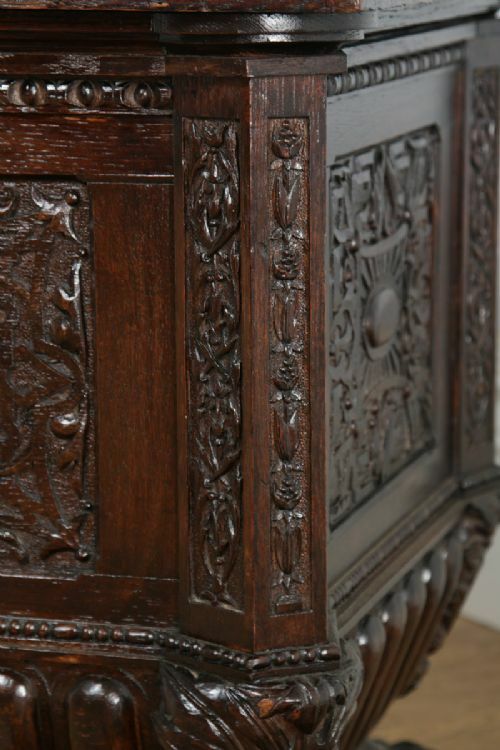 Below, the chest display sausage and bead trim, above prominent gadroon moulding. 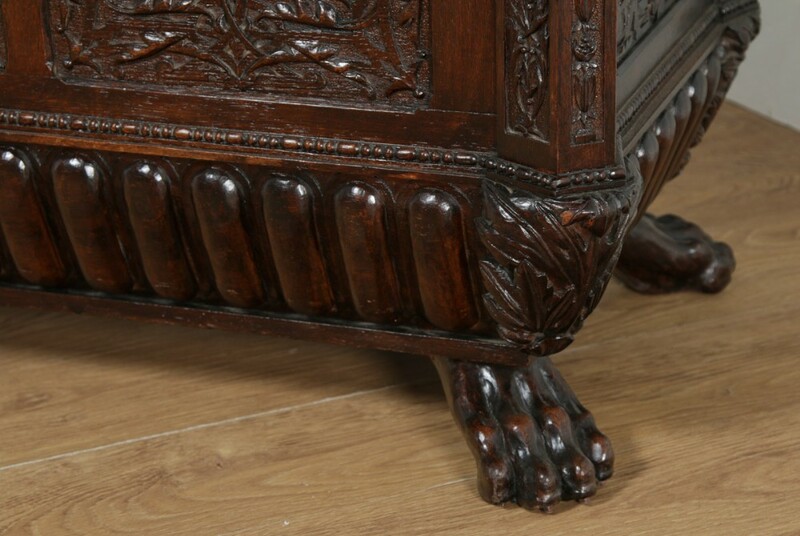 The coffer rests on the original carved lion paw feet. 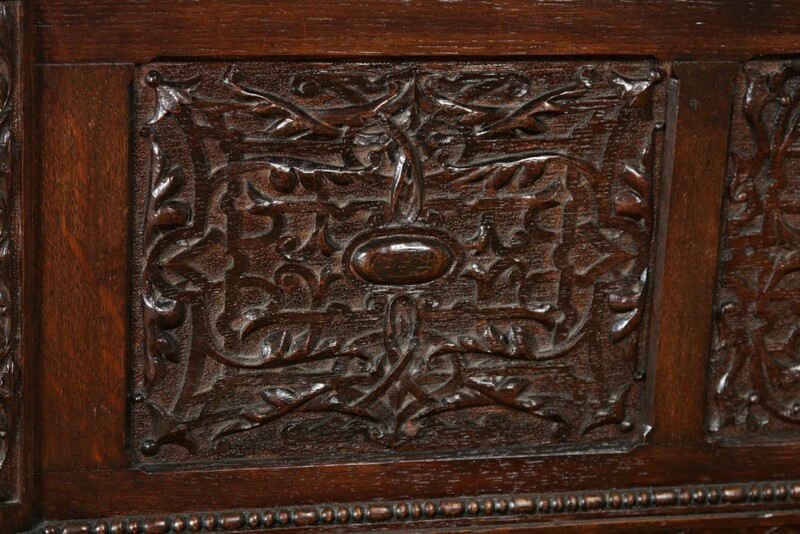 The back of the coffer retains its original plain panels along with the original floor. 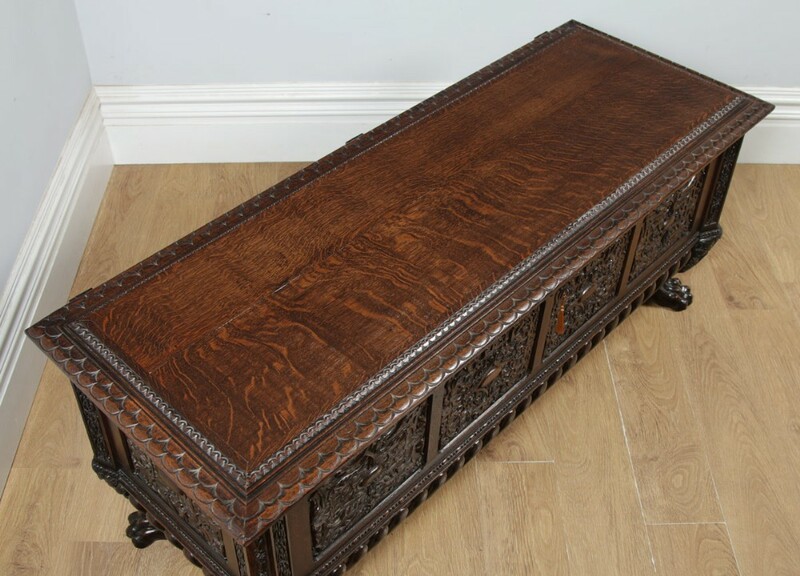 This chest is in excellent original condition. 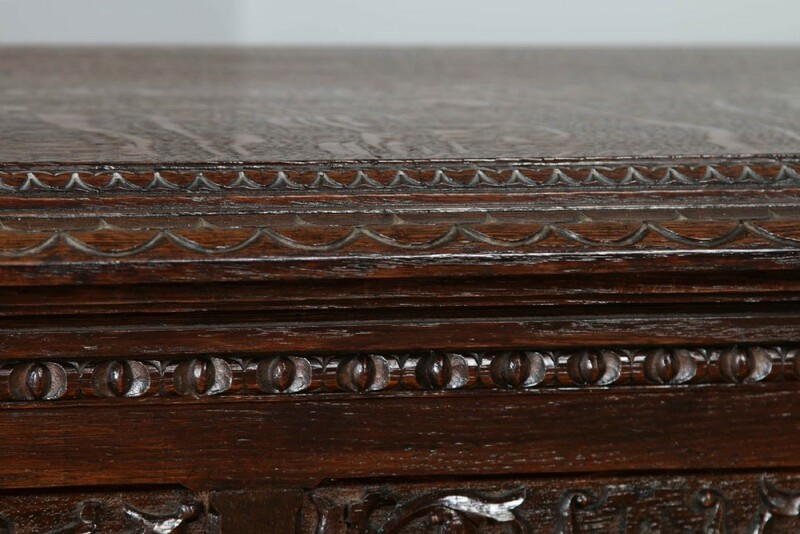 Nominal old marks to the top and leading edges, but nothing significant considering the age of the item. 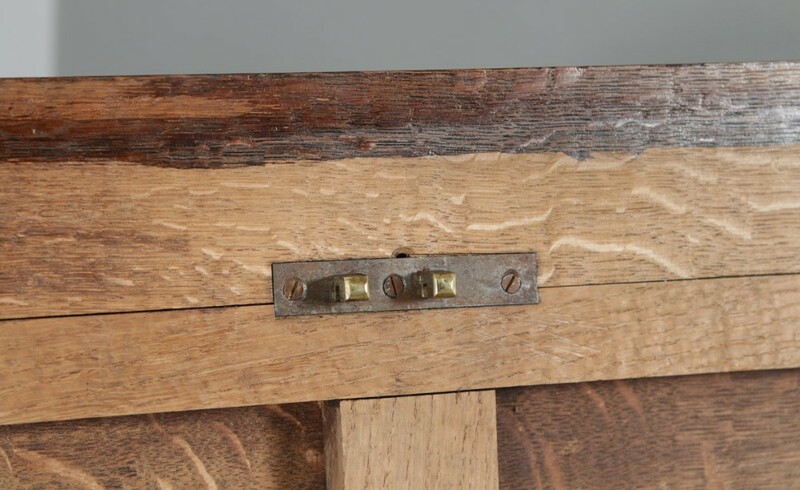 Such old use marks are inevitable and perfectly acceptable due to its age and use it would have received. The interior is clean, dry, and usable. 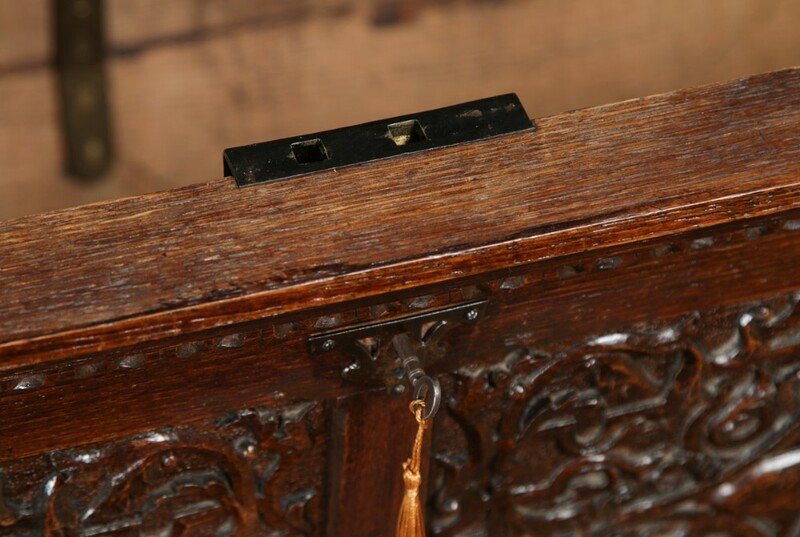 The lid retains its original steel strap hinges (these are often replaced), which are in good condition. 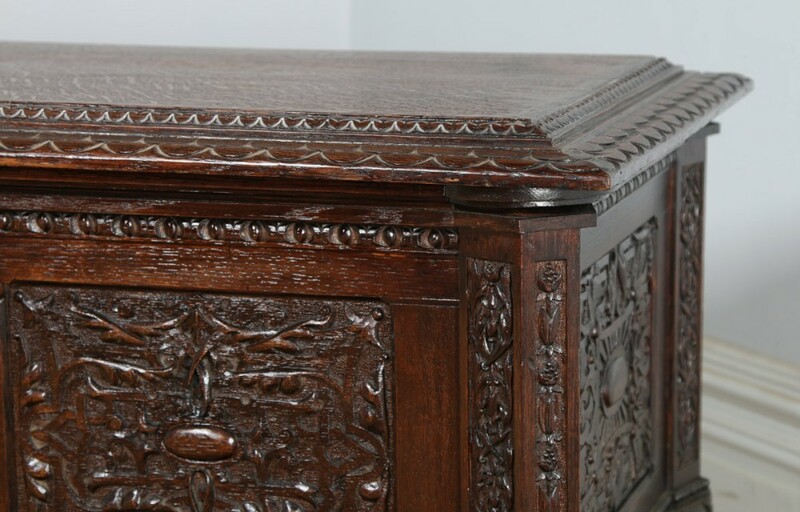 The chest retains its original lid, floor, feet, sides and back. 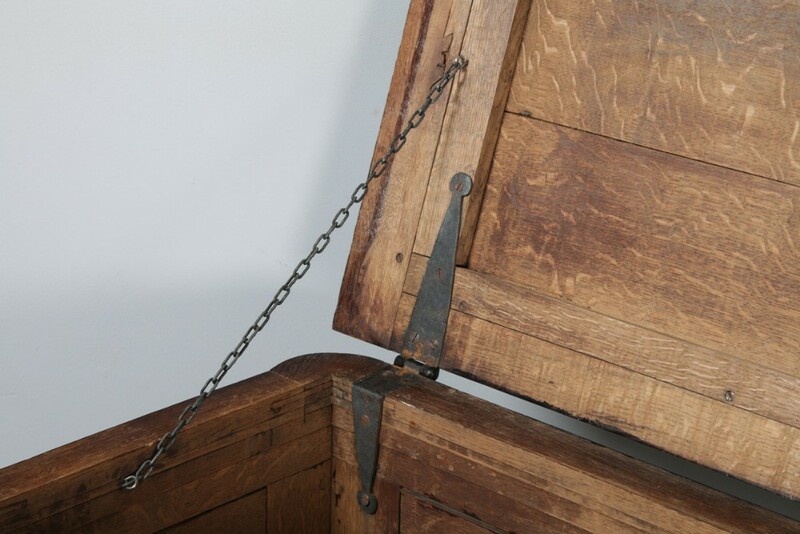 The chest incorporates a steel lever working lock and key, which allows you to lock the lid if necessary. 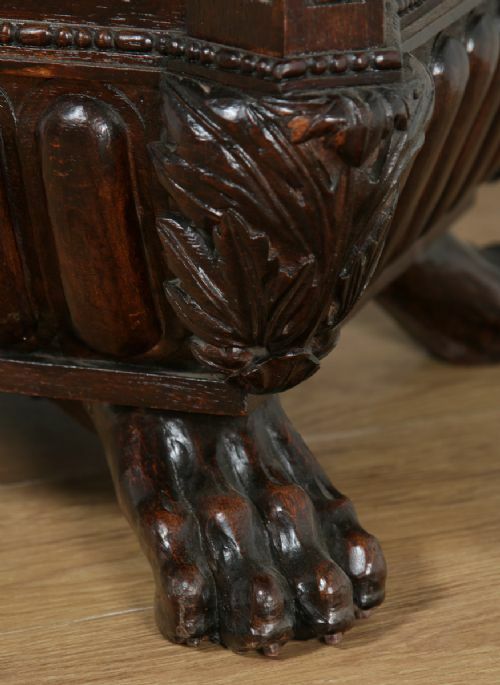 The chest stands on its original carved feet. 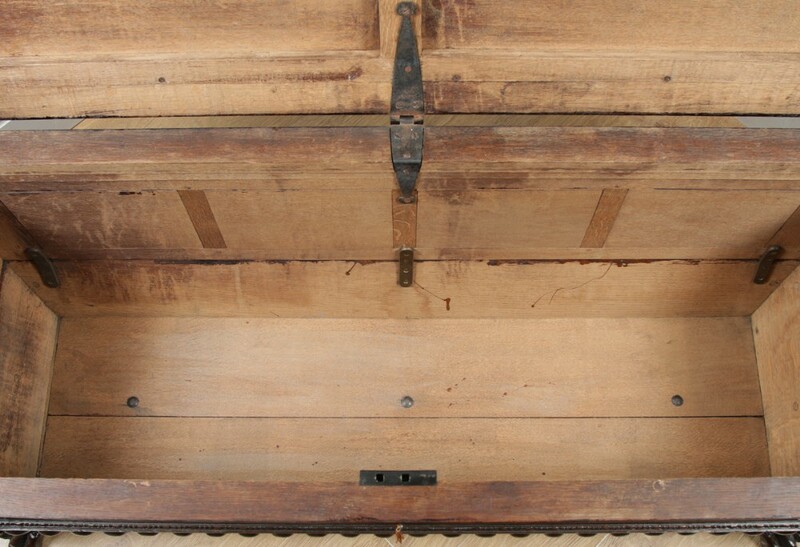 The chest is solid in joint; it does not wobble on the floor and is ready to use. 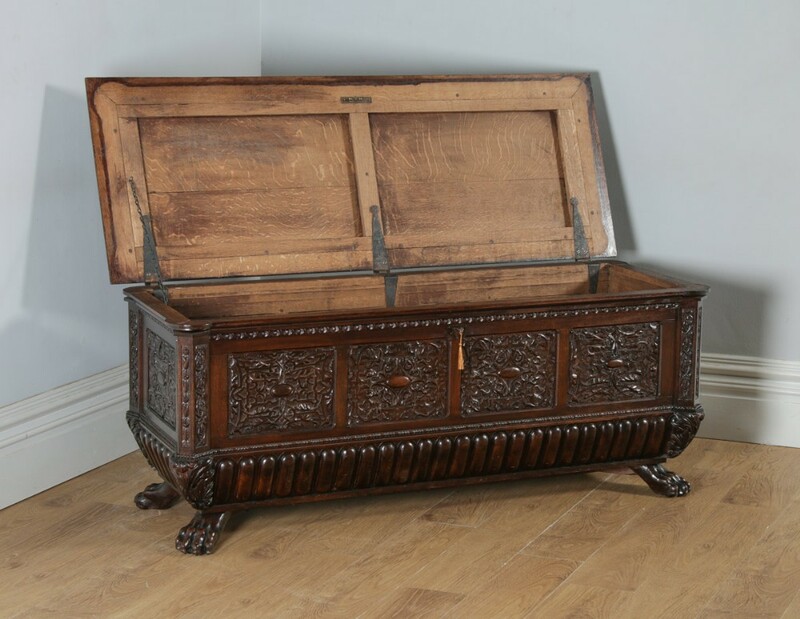 Considering the age of the chest, it is in good condition. 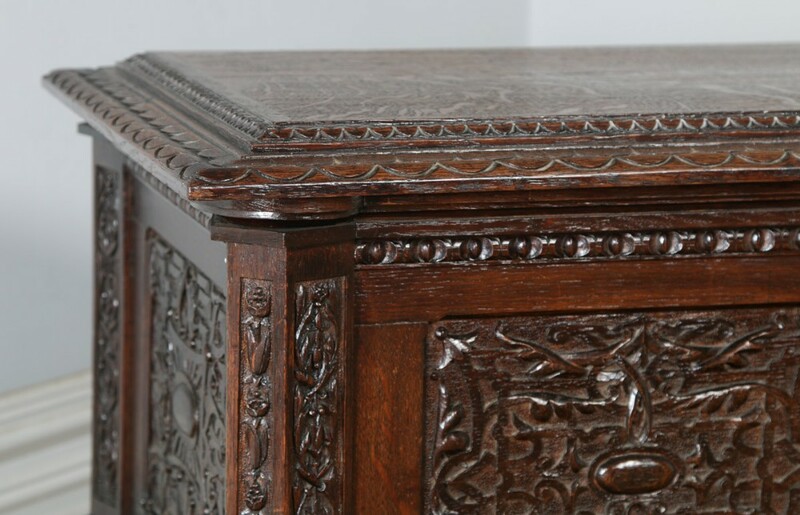 We offer free delivery to mainland England, Wales, and Southern Scotland. 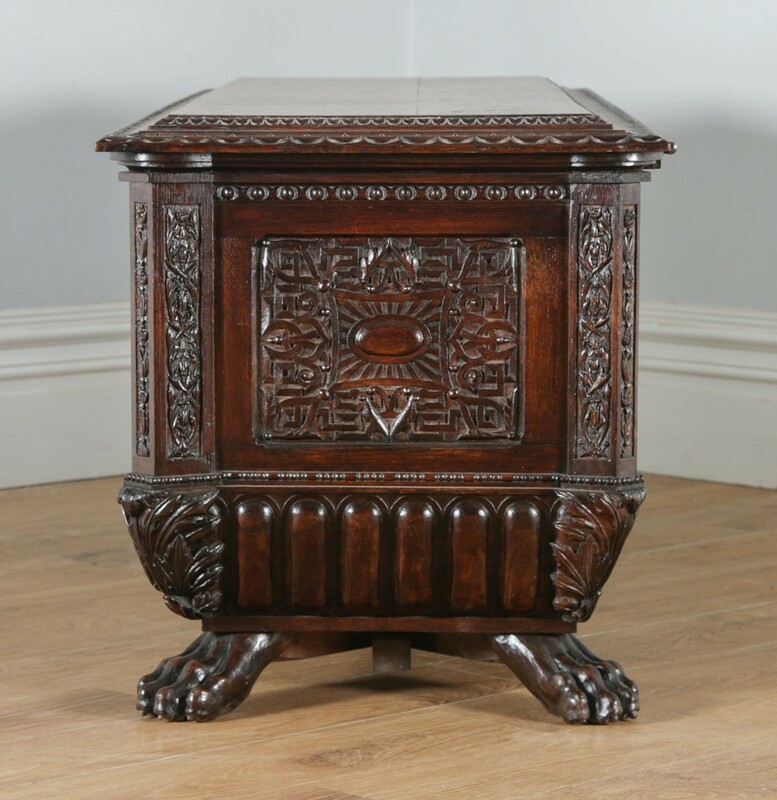 *We do not offer free delivery to locations north of Stirling in Scotland, Northern Ireland, or any British Islands off the mainland. If you live in one of the areas, please contact us for a delivery quote. 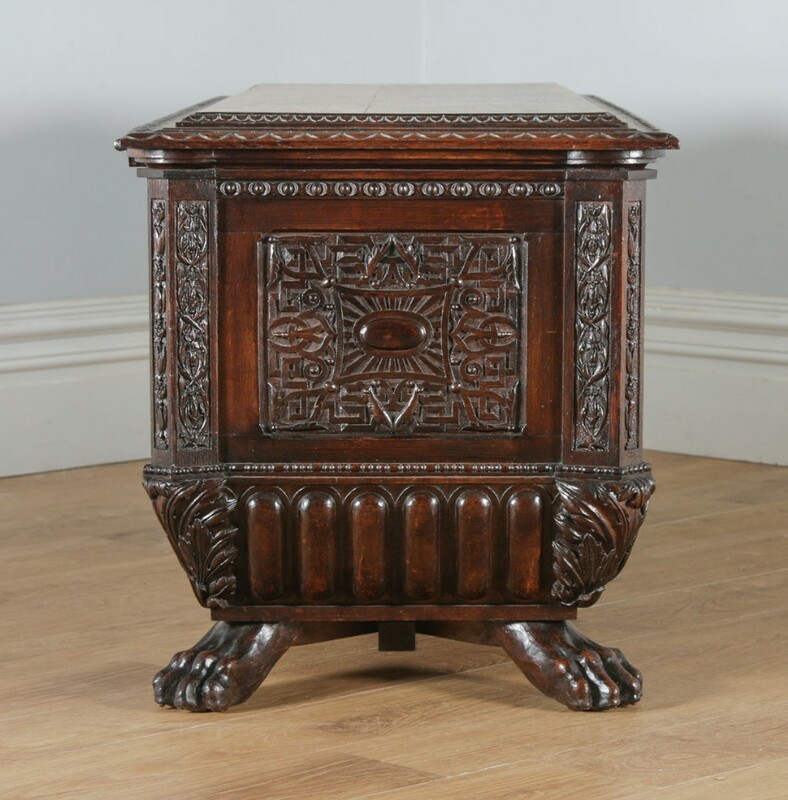 A free 14-day “no quibble” returns policy is available if you are not happy with this item. We will collect the item free of charge from you. 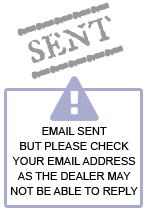 Please contact us before purchasing the item, so that we can obtain an accurate shipping quote and delivery lead-time. 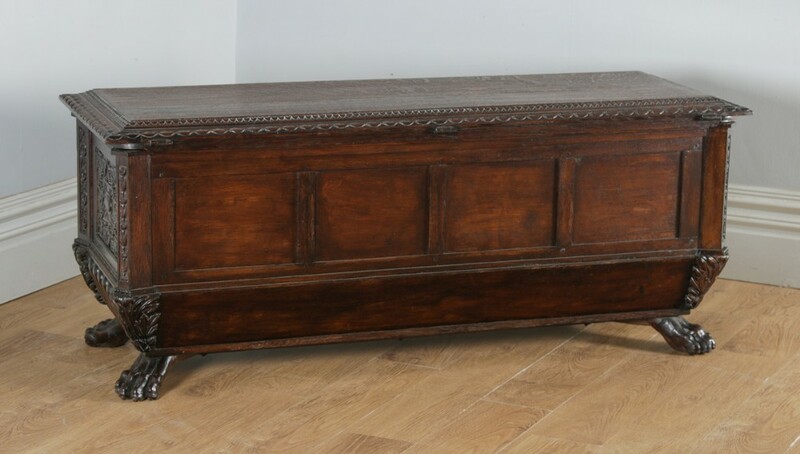 Please contact us on 01829 458 070 to arrange a viewing. 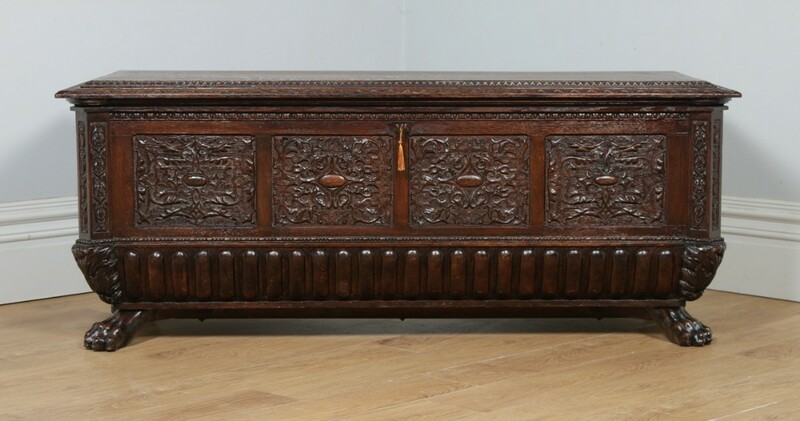 The Antique Italian Renaissance Carved Oak Carved Marriage Cassone Chest Coffer Trunk (Circa 1820) has been added to your saved items.